if you place \ at the start of your guide all the links within the guide will load from the beta side of the site. This can be reviewed for now and published if it looks good to go. Am currently still adding maps with pinned locations and in the process of verifying all the locations that have been given by fellow wowheaders. I will add a revision after that. This is a really nice little guide. Very clearly laid out and informative! Well written and easy to follow. Might be an idea to add map coördinates aswell. I <3 this guide and will use it OFTEN when MoP goes live. Thank you! Updated info on the Mogu - the urns were changed to tiles. Edit: Embracing the Passions found, Skyrange, Valley of the Four Winds, overlooking the Heartland. Victory in Kun-Lai appears to be at/in "Mogu'shan Terrace": just under the platform outside the raid there is a balcony. Currently, an invisible wall blocks the object. It is possible that the only way to access it is within the raid. Found the Cycle of the Mantid, it is on the south east side of the Clutch of Shek'zeer which is the black clawything fenced in area to the west of the Klaxxi base. Really great guide. Really well written and really acurate descriptions of the locations. 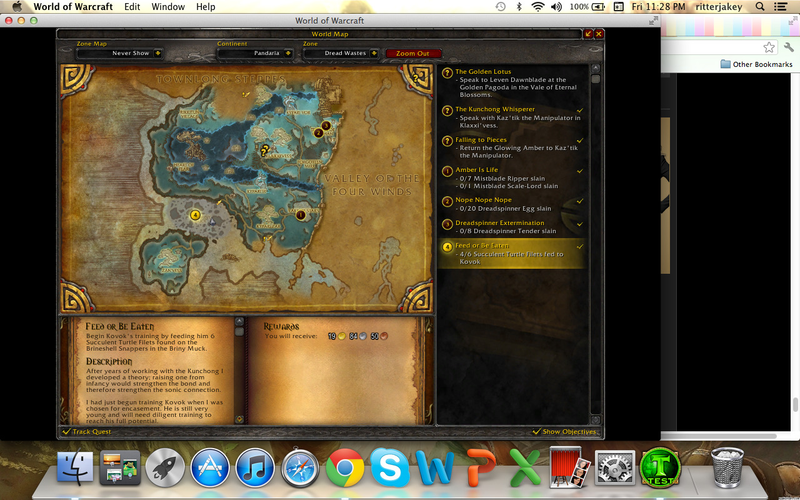 I'll be linking this to guildies and everyone else who asks for locations. Just to add: the location of 'The Empress' is a bit off on your map, the point is farther to the east than shown. Thank you for this guide, I couldn't have done the achievements without it. Ha I was the one you talked to in that dungeon about one of the boxes for Lost and Found. I just posted a pic I was able to get into the cave but when i clicked the box I didnt get anything so as far as I can tell it is NYI. Hopefully soon though. Wonderful guide, and I'm filling in some of the specific locations with text and screenshots. I have to mention, though, that the Dread Wastes locations do not need to be flown to, to reach them. The comments on the by-location tab above suggest they do. Very handy guide, but Yaungol Tactics is bugged at the moment. If you have done all the quests in that area, you can't find it anymore. Guess it's a phasing issue. Atleast it is for me. Anyone else having this problem? Birthplace of Liu Lang is currently bugged. If you've completed quests in the area, the location will be phased out. There are 3 methods I can think to get the credit if you've completed the quests. 2. Be a warlock with your toon in the northeast corner of the building (In Phase), cast Eye of Kilrog, move around the building to get the credit. 3. Be a Priest and "Mind Control" someone who isn't phased and click on the item. Hey, there's no place to put Mantid Society yet, so I'll add it here with my two screenshots if you have no objection. Cost: About three deaths, one just-stupid. There's a LOT more bugs out there than there were the other week. Mantid assaults on the Serpent's Spine are a terrible thing to experience, both as a defender and as a Mantid. Only the smartest, strongest or most agile of Mantid survive this encounter, and Pandaren defenders are slaughtered outright in terrible numbers. Mantid survivors make their way back to the great trees, often bearing trophies of their conquests. There, they are welcomed back into the Mantid society, and take their place among their civilization according to the level of their deeds. The purpose of this rite of passage is unclear, but those who travel beyond the wall are forewarned: Any Mantid you encounter beyond the wall is a hardened veteran, to be feared and respected. Lost and Found: At least one of these has just been implemented in the latest patch. Another one Pile de papiers is in krasarang, up on the hill north of the nayeli lagoon flight master by the hatch. Something else I came across the other day 'Il est pas perdu pour tout le monde' no idea if it's related or not. Found another treasure for lost and found. An item called "Kafa Press". it is a mug of coffee that grants 4000 haste for 25 seconds, 10 min CD. It is not a trinket, just an item you can use. Un adversaire à ma mesure Y en a d’autres, comme ça ? Victoire ! seem to be activated in this patch. Each drop a Petit sac de marchandises along with a specific item. I started this list thinking I was nearly done, how wrong I was. I wont spam the full list here, but you can find it uner the achievement comments. Just throwing a reply in here in case you dont get to a mail box on beta. Toric-Ethis is missing for Krasarang, it's a mantid that spawns near the other mantids next to the western road that leads to western V.o.t.4.W. I got my Lost and Found achievement from a chest at the bottom level of the ship southwest of Unga Inloo. Don't have a screenshot though, got a pair of 420 rare leather boots. 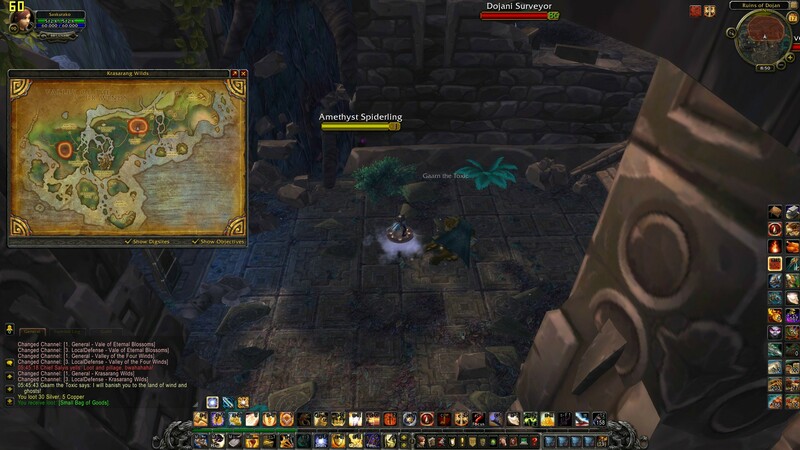 I found a rare pandaria treasure called Banana Infused Rum in Krasarang Wild, I never got a screenshot because i didn't know what it exactly was until i collected it and got the achievement for it. Unfortunately the items for these spells do not currently exist apparently, also, here is a screenshot of where i found it. Spirit Binders seems to be bugged or moved in new patch 15931. I have been all around the area where it should be, but it was nowhere to be found. Kah'tir was found in Townlong Steppes at 62, 35 in the little camp at the west end of the wall. So, I found a rare item which gave me the achievement, and I haven't found it on the page yet so I should report it here! 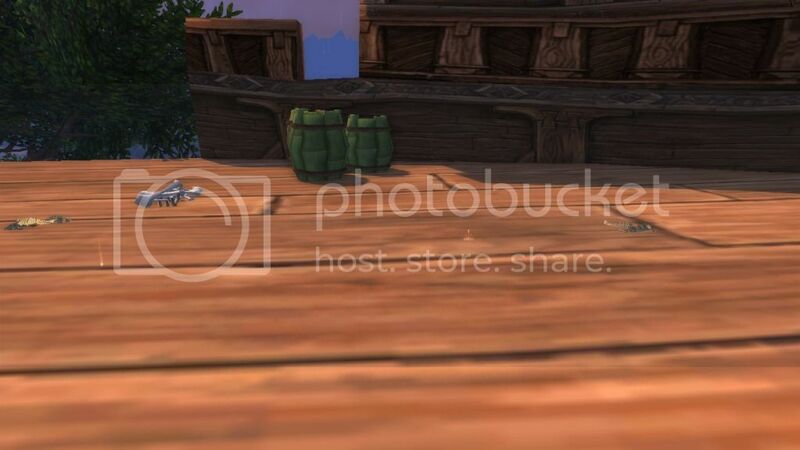 I was in Dread Wastes doing the Klaxxi quest-line (in the Briny Muck) and there was an npc "Rapana Whelk" basically a little snail with a green name and a dialogue box. I followed the script and it said something along the lines of "There's something shiny on the whelk's back. Let's take it" or something like that. Hope this helps, fellow treasure hunters! Thanks to your guide i was able to make my own video version, although we only used this for a few we noticed a few of your maps and sites were out of date. Hopefully our video can help you update yours like you helped us. We linked your version in ours too to give you credit for helping us. Love the guide! Can you please update the "Object #" references? I know it's a pain in the neck when the database is in a state of flux, but it helps all of us who use it. Just an update, not sure how this will go live. Right now on beta all the small unique items have been replaced with a rolled up bamboo scroll telling the story. Any chance of adding the Jade Forest rare elites to the map? Thanks for this guide! Tonneau de rhum infusé à la banane : found it at the position wowhead got it listed, containing the Recipe + 5x Rum rewarding Objets trouvés . Cannot find Embracing the Passions, in Kunzen Village in valley of the four winds. I'm standing right on top of where the dot is on the map. It looks to be where the chief is standing; I killed him, but all around him are papers that just say Haipu. No embracing passions. Any additional clue to where it is? The Yaungol tactics are not in Townlong Steppes but in Kun-Lai (in Fire Camp Ordo). It says your guide has been updated on October 2, could you perhaps also fix the broken item links? Thank you, I could not have done this without your guide, even if it is off in a few places. Would be nice if this guide was updated. The lists for the lore objects are currently so full of errors that it's much better to read comments under each individual achievement for correct locations. 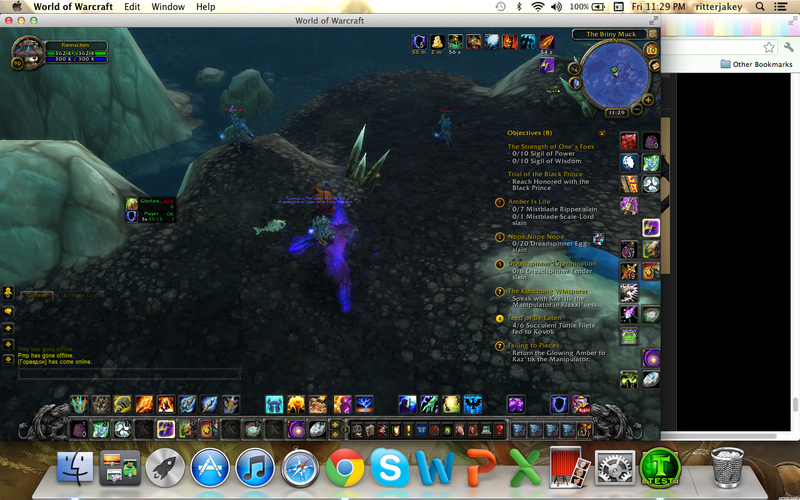 Excellent guide!, got all the achievements, and got Exalted w/Lorewalkers, easiest rep grind in the game! Kudos! It only took me about an hour with 310% flyer to complete all of them. After every achievement Loremaster Cho sends you a scroll with a quest that you turn into him. A warning: He will talk for 5 minutes per turn in (you actually get a 5 min debuff named "Stormtime") and is unable to complete quests until finished talking. If you are fast enough, you can turn in 2 quickly and Cho will clone himself and do both "cut-scenes" simultaneously. Edit: Log out and back in to reset him! One of the lost treasures i found right next to the Yaungoil, from The song of the Yaungol. Its a weapon rack. Incredibly thorough. I will be using this when I go for the achievement tonight, great job. Really nice idea with the map locations & name tags, & the different zone tabs. Really good guide. Here are the waypoints for TomTom sorted by zones...tks to Zerotacg for the list sorted by achieve. Added 3 additional locations in townlong and kun lai. When you turn in the quests, if you are a paladin and your not one to listen to the 5min stories, you can simply bubble or BoP, and the NPC will despawn, still giving rep and everything, but removing storytime debuff, allowing you to turn in another Q. When i turned in 2nd, he bugged, so he stayed there, while a 'clone' of him went around talking, so i could just turn in all the quests without delay. Hope anyone finds this of use. For "Victory in Kun-Lai" It was easy to get to. It can be easily reached and seen. When you are looking out into Kun-Lai Summit from the Mogo'Shan Terrace, there is a smaller platform to your right. Fly over and its easily seen on the grounds. The Emperor's Burden part 7 is actually not at the Meeting Stone. It is slightly off to the east (right) side of it, with an NPC named Ahone the Wanderer, 40,42. Quan Tou Kuo the Two Fisted is listed on the map pin as "No Achievement Any Longer". But I received the achievement today with this find. It was the last of the three brewfathers for me. This guide is WONDERFUL! Thank you so much for putting it together. The location description for The Emperor's Burden - Part 1 (in Dawn's Blossom in Jade Forest) is a bit strange. I found the scroll object at a small shrine in the middle of the lake near the flight master. I don't know what the "town portals" are. first off. thank you for the guide. noticed a minor error. in the Ballad of Liu Lang, you have Hozen Maturity in the by achievement instead of waiting for the turtle. Victory in Kun-Lai can be found at the "N" of "Mogu'shan Terrace"
The Emperor's Burden Part 3 - In the temple courtyard and not "at the end of the bridges". The Empress - If you follow the description above you'll be looking in the wrong place. It's at a statue just north of the Heart of Fear main building. If you're planning on doing this all in one go like I did, don't make the mistake of handing all the missives in at the same time. Lorewalker Cho will narrate. Every. Single. One. Better to hand in as you complete each achievement. WARNING! Sooooooo many of these waypoints are off - by at least 40 yards! this guide is terrible - you have been warned!